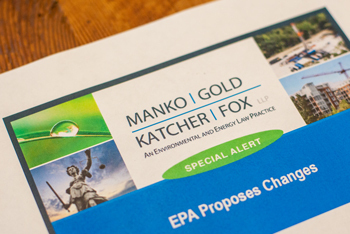 In the fall of 2017, the Pennsylvania Department of Environmental Protection (PADEP) announced its plans to (1) increase existing fees for permit applications and annual emissions fees for Title V facilities; and (2) establish new fees for the review of certain information by the Air Quality Program for which no fees are currently required. According to PADEP, the reason for the fee increases is to generate more revenue for the Commonwealth’s Clean Air Fund, which is expected to have a negative balance in less than five years absent some uptick in revenue. In fact, one of the primary reasons cited by PADEP for the Clean Air Fund’s dwindling balance is the fact that there has been a significant trend in emissions reductions, and therefore a corresponding reduction in emissions fees due, over the past 15 years. But nevertheless, if finalized, these changes would affect thousands of facilities in Pennsylvania. Under PADEP’s current proposal, the fee increases would extend to plan approval and operating permit applications, among other types of applications. PADEP would also establish new fees for (1) Requests for Determination (RFD) of changes of minor significance and exception from plan approval, and (2) notifications of asbestos abatement and demolition/renovation, both of which PADEP currently processes at no charge. With respect to annual emissions fees, PADEP is still considering several options, but the Department’s preferred approach would increase the cost per ton of pollutant emitted from approximately $90 to $110 (up to a maximum of 4,000 tons per pollutant per year, as PADEP is not planning on adjusting or eliminating the current cap). The increased fees would take effect for emissions generated during calendar year 2018, with payments due by September 1, 2020. This issue continues to garner significant interest at the state level, with PADEP’s Air Quality Technical Advisory Committee (AQTAC) raising several concerns about the fee increases during its December 2017 meeting. In particular, the AQTAC members devoted meaningful discussion time to the fact that PADEP’s current proposal would not impose an emission fee for carbon dioxide, notwithstanding its classification as a regulated pollutant. PADEP currently expects to deliver a draft proposed rulemaking package to AQTAC during the second quarter of 2018. Following review by ACTAC and, then, the Environmental Quality Board, the proposed rule will be published for public comment. Interested parties should therefore stay tuned as these issues continue to unfold, including identifying opportunities for public participation in the ongoing regulatory development process.